*Click on any title with a hyperlink to read my review. 23. 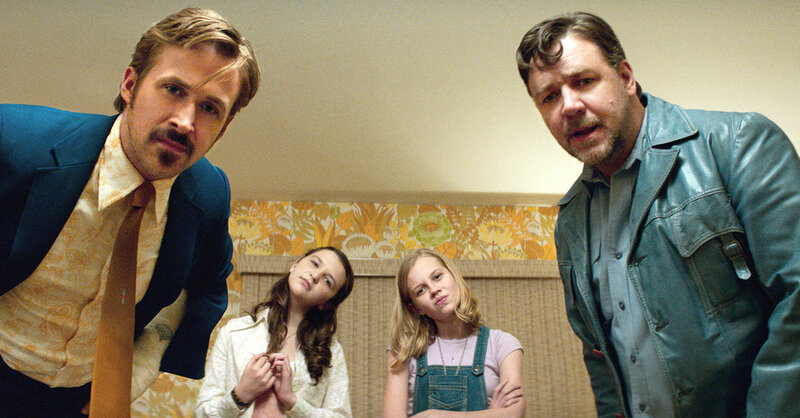 The Nice Guys – Arguably the most overlooked comedy of the year, and Angourie Rice is one of the most overlooked female performances of the year. Then we have Ryan Gosling, who is pulling an Andrew Garfield and getting all the attention for the wrong movie. 22. Captain America: Civil War – Thought I would dislike it, but I’ll admit that I was wrong. Juggles its characters admirably well and delivers on the entertainment. 20. Paterson – An ode to the mundanity of everyday life. 18. Nocturnal Animals – Doesn’t interweave its narrative threads as well as it thinks it does, but when it’s on top of its game, it’s excellent. The story within a story is one of the best films of the year. 16. Don’t Breathe – Almost completely unravels in the last fifteen minutes, but the preceding seventy are so fantastic that it doesn’t really matter that much. Top-notch cinematography, performances, and atmosphere building. 15. American Honey – Yeah, it’s a 160-minute movie with barely any plot, but you are all missing out. Andrea Arnold’s latest is an exhilarating ride that may lose its way a few times, but manages to reach some beautiful highs. It’s quite the experience. 14. Hell or High Water – Screenwriter Taylor Sheridan is prone to spelling things out too clearly for the audience, but it’s still a sharp script that backs up a compelling story. 12. Krisha – Be on the lookout for Trey Edward Shults in the future. I caught this film during its very limited run back at the beginning of the year, and I’m glad I did. A devastating and stylish exploration of addiction done on a tiny budget. 11. Moonlight – A bit overhyped, but undoubtedly one of the most gorgeous and poetic films of the year. 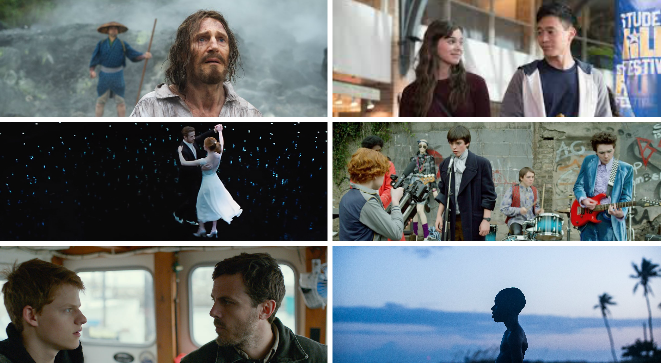 A three-part story brimming with humanity and featuring some of the best performances of the year. I know all the Best Director hype is around Chazelle this year, but I believe the award should go to Jenkins. 10. 10 Cloverfield Lane – In a year of the “claustrophobic thriller”, this is one of the best. 9. Gleason – Ever wanted to watch a person filled with so much promise and life slowly deteriorate? Well, here you go. Moving and inspirational. 8. Sing Street – Pure, unbridled fun, and a killer soundtrack. 7. The Edge of Seventeen – The biggest surprise of the year. Kelly Fremon Craig’s script is witty, enjoyable, and sometimes touching, and Steinfeld shines. I don’t like it because it’s relatable; I like it because it’s good. 6. Manchester By The Sea – By far my most anticipated film going into 2016, and man is it good. It lives in the little moments, Lonergan’s script effortlessly blending humor and drama as subtleties occasionally give way to big, heartbreaking scenes. A wonderful balancing act. 5. The Neon Demon – Talk about a memorable experience. I appreciate any film that gets the audience to react strongly, either positive or negative, and this is that type of film. Also, every aspect of the production is off the charts. 4. La La Land – I was disappointed the first time around, but I was enthralled the second time. The passion in the project is evident, and the musical sequences are absolutely beautiful. Still doesn’t deserve a screenplay nom, though. 3. Everybody Wants Some!! – If Linklater releases a movie in any given year, you can guarantee it’ll be near the top of my list. 2. 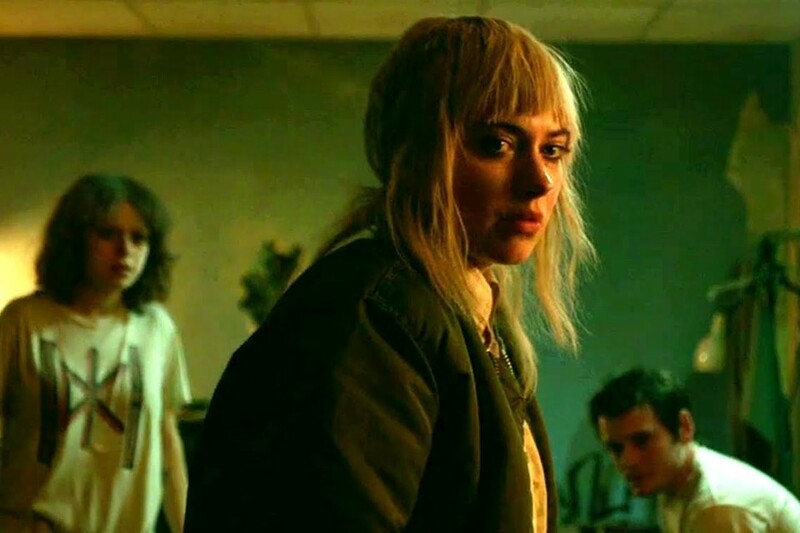 Green Room – My favorite of the year for 8 months straight until the current #1 knocked it off. Unrelenting in its brutality and refreshing in its simplicity, Saulnier delivers a gripping 90-minute pressure cooker that doesn’t let the audience go until the screen goes black. 1. Silence – A masterpiece from the master. This is Scorsese’s passion project, and you can see the painstaking work that went into this 20+ year process. Thematically, it’s extremely personal and a culmination of his entire career, and it’s a fascinating meditation on faith and the ways in which it impacts our relationships with the world. Stunning and powerful, and my #1 of 2016. And that wraps up a year of film. Hopefully the Oscars don’t screw up too bad. A bonus: my top scores/soundtracks of the year. I really liked Nocturnal Animals and Arrival. You can probably tell that I’m an Amy Adams fan.